LONDON (Reuters) - U.S. cable giant Comcast Corp (CMCSA.O) has offered $31 billion for Sky Plc (SKYB.L), threatening a plan hatched by Rupert Murdoch's Twenty-First Century Fox Inc (FOXA.O) and Walt Disney Co (DIS.N) to seize control of Europe's biggest pay-TV group. The world's biggest entertainment company and owner of NBC and Universal Pictures said on Tuesday it proposed to offer 12.50 pounds per share for Britain's Sky, more than the 10.75 pounds that Murdoch's Fox has agreed to pay for it. Bob Iger's Disney has agreed to buy Sky from Fox, along with other assets, in a separate $52 billion follow-up deal. Comcast's all-cash, unsolicited offer pits CEO Brian Roberts against Murdoch, the 86-year-old tycoon who helped to launch Sky and pioneered pay-TV in Britain. Iger is also a long-time rival after Comcast tried and failed to buy Disney in 2004. "Sky and Comcast are a perfect fit: we are both leaders in creating and distributing content," Roberts said. Sky's shares jumped more than 20 percent, closing at 13.31 pounds, indicating that investors expect a bidding war. Shares of Comcast, Fox and Disney fell. Comcast's appearance in the already complex Sky drama could prompt Fox to make a higher offer or Disney to make its own direct bid for Sky. 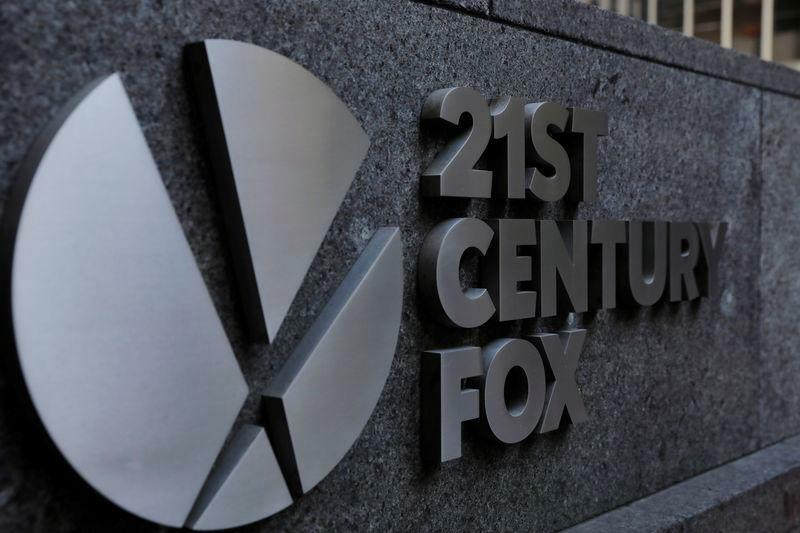 Fox remains committed to its cash offer announced in December, it said in a statement. Media owners have been forced into increasingly aggressive deals after online groups Netflix Inc (NFLX.O) and Amazon.com Inc (AMZN.O) prompted many customers to ditch subscriptions. Comcast bid $60 billion last year to clinch a deal with Fox, before losing out to Disney. Sky, which provides sports programming, films and broadband to 23 million homes across Britain, Ireland, Germany, Italy and Austria, urged its investors to take no action since the approach did not represent a firm offer. Murdoch's Fox agreed to buy the 61 percent of Sky it did not already own in a cash deal in December 2016, but the takeover has been repeatedly held up by regulators over concerns the media tycoon wields too much influence in Britain. The shares had been trading above the asking price since Sky this month agreed to pay less than expected for Premier League soccer rights, likely boosting its future earnings and prompting investors to demand a higher offer. It also attracted the attention of U.S. hedge fund and activist investor Elliott Management Corp, which has built up a 2.5 percent stake in Sky in recent weeks. Hedge fund manager Crispin Odey, a former son-in-law of Murdoch who holds 1 percent of Sky, said he expected a counter offer and speculated whether Disney could make a direct bid for Sky to avoid Fox's regulatory problems. "Once you're in a bidding war, it's not about fair value, it's about what do you think it's worth," Odey added. Formed in 1990, Sky has built its business by offering leading content and technology. It snapped up Murdoch's pay-TV groups across Europe in 2014 to offer a distribution platform that is now proving attractive to the big U.S. content owners. Comcast said it had not yet engaged with Sky over the proposal and its finance director, Michael Cavanagh, declined to comment on whether it could lead to a renewed bid for Fox. Comcast will have to gain the support of Sky's independent directors if it does not make a hostile bid because its chairman is Murdoch's son James, who is also CEO of Fox. Comcast's Roberts, the son of Ralph who founded the company in 1963, called Sky's Deputy Chairman Martin Gilbert on Tuesday morning to notify him just before the offer statement was released, and called Sky CEO Jeremy Darroch shortly afterwards. Sky's independent directors are expected to meet in the coming days to discuss the offer and the company said they were mindful of their duties to investors. Comcast went public with the proposal to trigger the regulatory timetable because timing will be a key factor. A Comcast spokesman said it would ask regulators in Brussels to look at the deal where it expects to avoid a lengthy investigation. Britain's media minister has said he will give his verdict on Fox's bid for Sky by June 14, giving Comcast a narrow window to get any takeover approval done. "We would like to own the whole of Sky and we will be looking to acquire over 50 percent of the Sky shares," Roberts said. Disney's Iger declined to comment when asked about the Comcast offer during a trip to Paris. MURDOCH TO LEAD THE CHARGE? Murdoch had been edging towards a deal for Sky in recent weeks, eight years after he first tried to buy the company. Britain's competition regulator said in January his planned takeover should be blocked unless a way was found to prevent the Australian-born power-broker from influencing Sky's news operation. Critics, including many politicians, argue Murdoch wields too much influence through the Sun and Times newspapers, and in 2011 he closed the News of the World after its journalists admitted hacking phones to get scoops. Seeking to prove it would not influence Sky News in the future, Fox last week promised to maintain and fund a fully independent Sky-branded news service for 10 years. British Prime Minister Theresa May's ministers have appeared wary of approving Murdoch's bid, repeatedly asking the independent regulator to intervene, and Comcast could face a smoother ride. A spokesman for May said the deal was a commercial matter. Robey Warshaw, a small boutique firm which has worked on some of Britain's biggest deals, Evercore (EVR.N) and Bank of America Merrill Lynch (BAC.N) are advising Comcast.